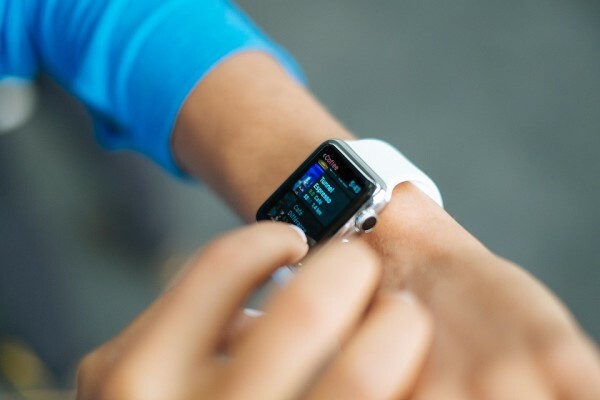 Like it or not, the mobile experience has evolved into a more wearable form – the smart watch. Although not a new concept in the gadget world, more tech powerhouse brands have jumped on the bandwagon and introduced their own rendition of a smart watch. Check out these 5 wrist candies to watch out for. Samsung was the first big brand to push the concept of a smart watch to general consumers, after the launch of the crowd funded Pebble. Following their initial offering in the form of the Gear S, the Gear S2 comes with a remarkably improved user interface and exterior design. Aside from having standard features such as receiving notifications of calls and messages from the paired phone, the 4G enabled versions of the Gear S2 enable wearers to make calls and receive data directly. Having WiFi, Bluetooth, NFC and GPS has allowed for the creation of many useful third-party apps that capitalise these functionalities. Probably the most highly anticipated smart watch, the Apple iWatch might be the most high-quality looking smart watch. There are many accessory manufacturers, even fashion brands, churning out accessories for the iWatch so you can personalise it to your own liking. The user interface on this watch follows Apple’s trademark seamlessness and user-friendliness. Watch OS2 allows wearers access to most functions of the iPhone but most importantly, communication with Siri can be done through the watch. WiFi functionality is also available. A possible gripe might be the very short battery life of the iWatch – it lasts an average of one day. The best part about the Band 2 is its compatibility with any mobile device regardless of the operating system. The Band 2 will show email, message, call and even Twitter or Facebook notifications. Geared more towards being a health and fitness app, this smart watch is equipped with a GPS tracking system. Armed with Gorilla Glass 3 display, it can be worn without fear of screen cracks while playing sports. The curved 320×148 pixel display offers a somewhat brilliant image, but the best feature of the watch might be its 48-hour battery life. With what might be a cool-looking wrist wearable that actually looks like a watch, the Moto 360 delivers on style with a realistic watch face and even interchangeable leather straps. There are four different models available – a larger one, followed by two smaller versions for men and women and lastly, the Sport version. While compatible with both iOS and Android mobile devices, the Moto 360 runs on Android Wear 1.3. Motorola has separated themselves from the rest by utilising the concept of interactive and interchangeable watch faces that look pretty elegant. Moto Body, Motorola’s suite of health monitoring tools, are available as a download for the watch, making it a great option of you’re looking to track fitness. The VivoActive is a watch that is definitely targeted at the sports-oriented. Bought in to fill in the gap of smart watches with an excellent GPS system as well as a long battery life, the Garmin definitely does its job of auto-tracking movement and recognises different types of sports. Sleep tracking, calorie burn and a pedometer make this a complete fitness watch. A unique feature is the daily goal setting function that automatically adjusts based on the previous day’s performance. While it excels in sport tracking, the VivoActive does fall behind in terms of a slightly laggy experience and a very narrow suite of apps to choose from, making this less of a lifestyle choice.